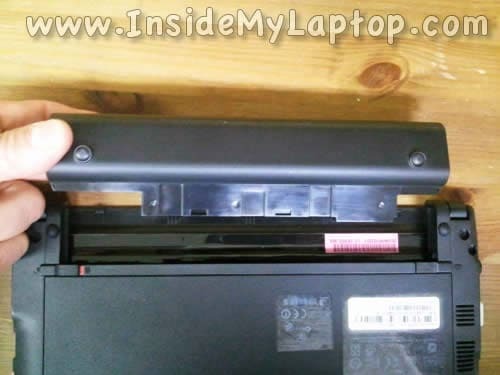 First of all, make sure the netbook is turned off. 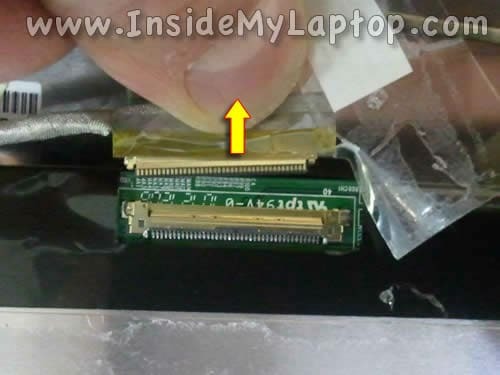 Remove the screw cover from the left lower corner of the display assembly. 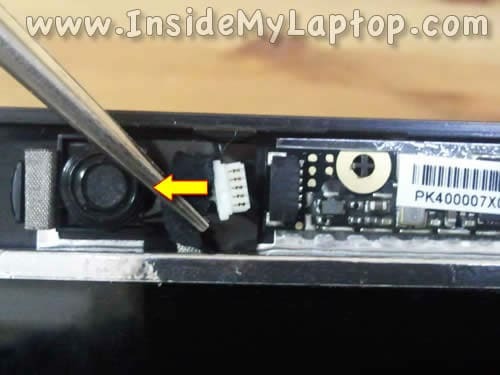 Remove the screw cover from the lower right corner of the display assembly. 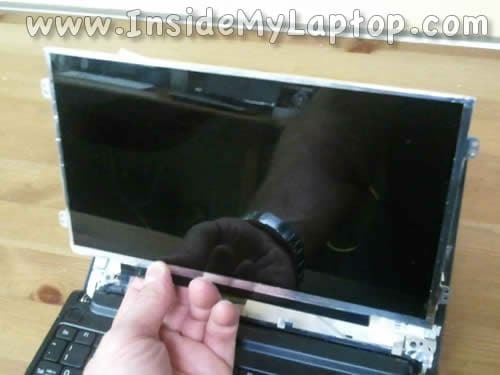 Start separating the display bezel from the back cover. I’m using the guitar pick for that but you can use any piece of plastic. Insert the guitar pick between the bezel and back cover and separate one from the other. 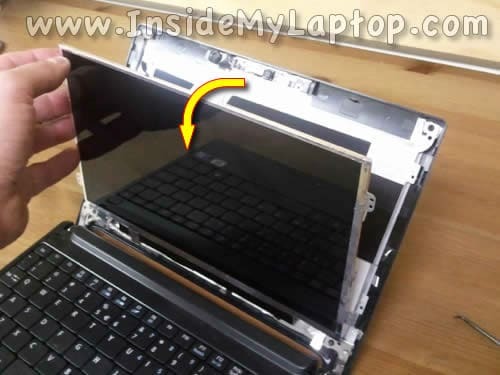 At the same time insert your fingers under the bezel. 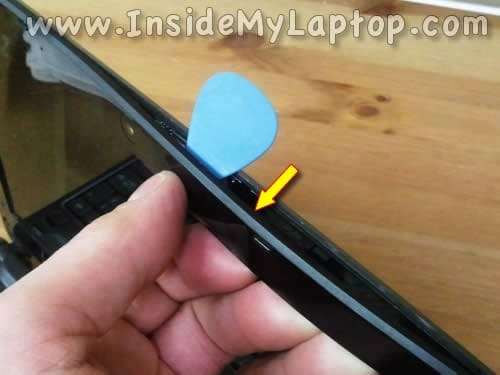 Continue removing the bezel with your finger and guitar pick. 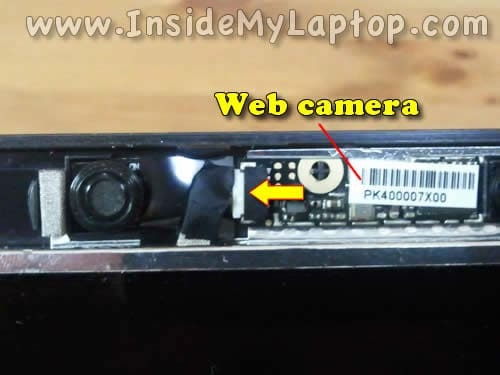 Before you remove the screen you’ll have to disconnect one cable from the web camera module. 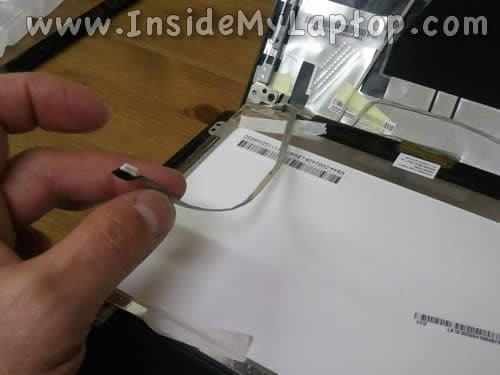 Carefully unplug the web camera cable. Do not pull by the cable. 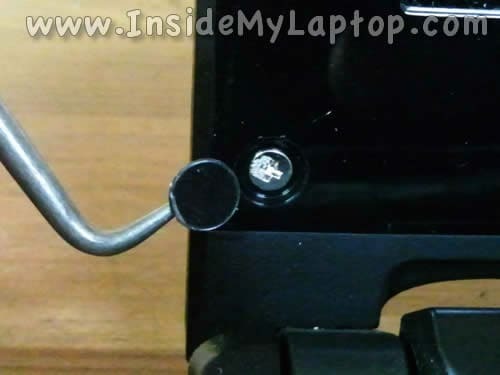 Unplug the connector by the edges. 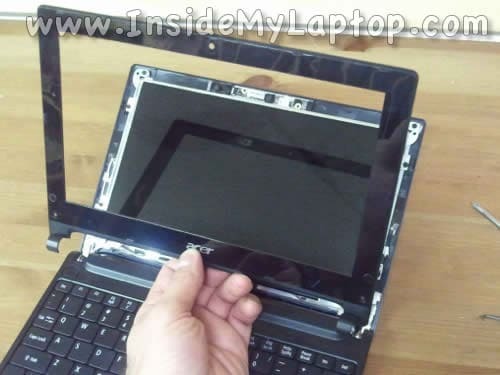 Separate the LCD from the display back cover and place it the front side down on the palmrest assembly. 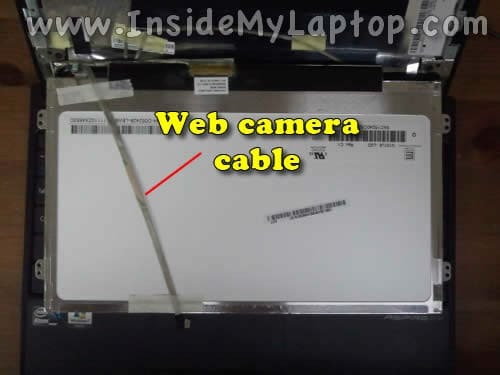 The web camera cable glued to the back side of the screen. 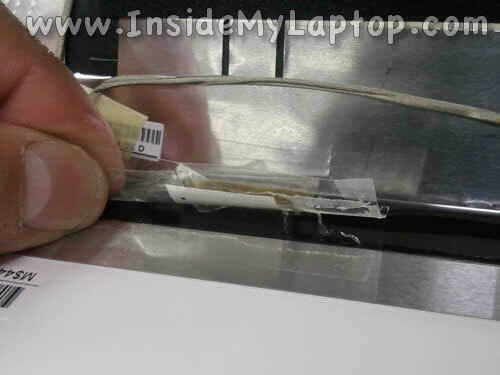 Remove clear tape securing the video cable connection. 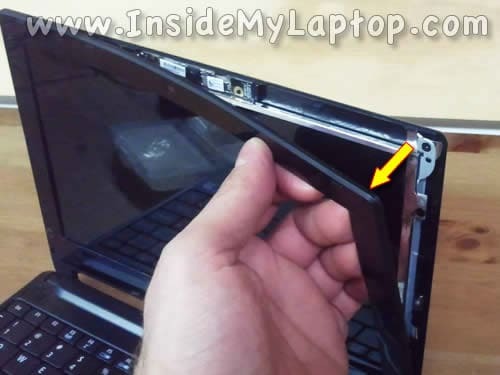 Remove the failed screen and replace it with a new one. 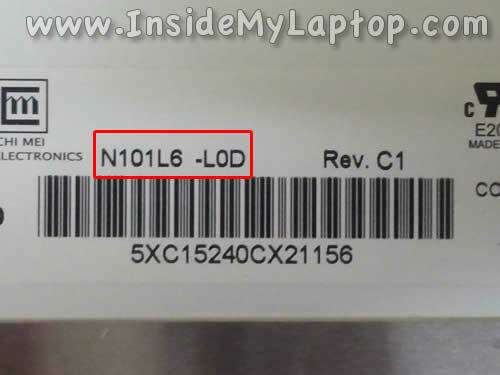 In order to find a new replacement LCD screen you can search by the model number printed on the back of the original part. 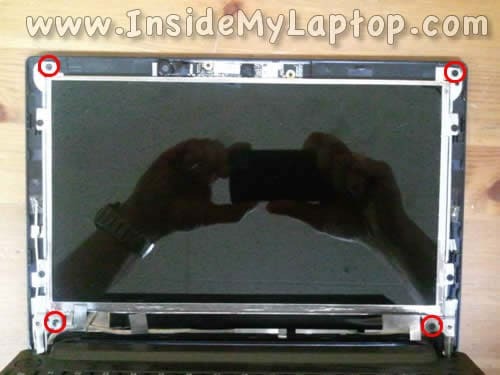 My Acer Aspire one D255E had this LCD installed: N101L6-L0D. Many thanks! 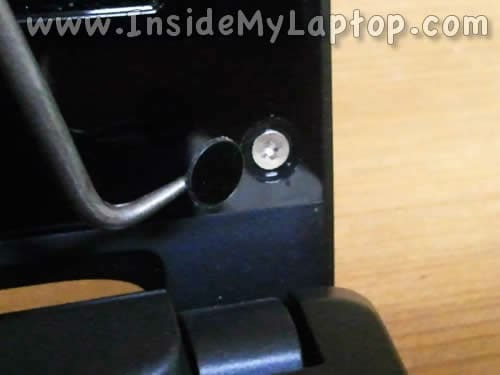 That was completely useful and worked well!